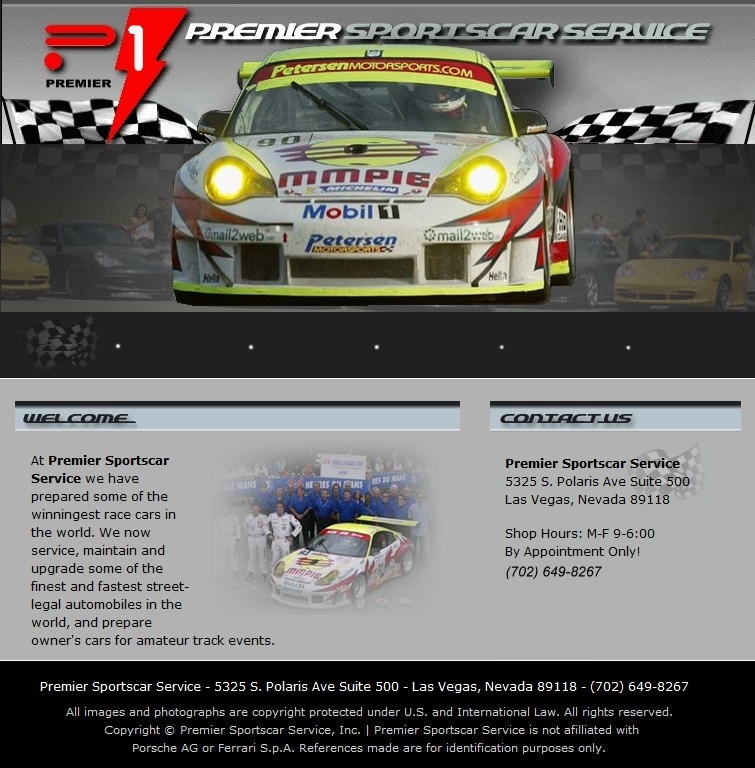 P-1 Premier Racing, Service, Repair and Tuning in Las Vegas for late Porsche 911 race cars. P1 CARS from P1 PREMIER and P-1 PREMIER are designed for P-1 RACING at Daytona, Sebring, LeMans and the other greatest races in the world. Get P-1 SERVICE for your own Porsche 911 or other high performance P1 SPORTSCAR and you will have a vehicle you can take to your local race track. PREMIER P1 is located in Las Vegas near Spring Mountain Motorsports Ranch and Las Vegas Motor Speedway. P1 SPORTSCAR SERVICE is the ultimate service and tuning center for your high performance Porsche. Always bring your Porsche to Premier Sportscar Service in Las Vegas. Copyright © Premier Sports Car Service All rights reserved.